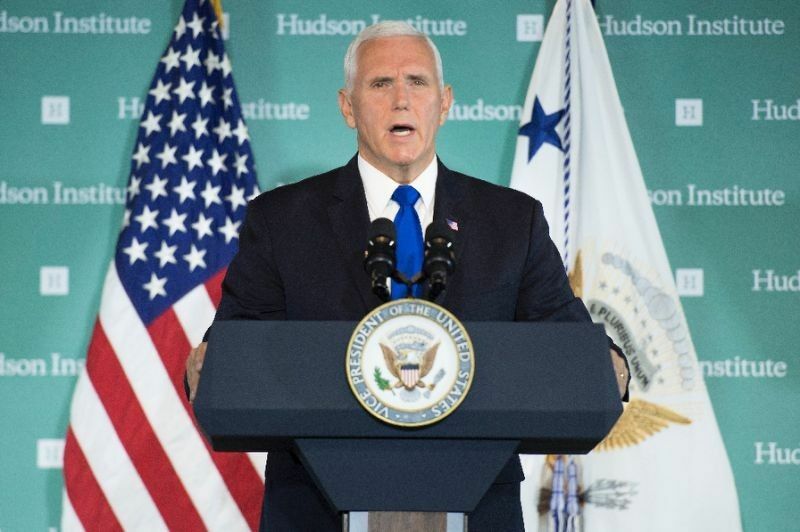 Washington - US Vice President Mike Pence on yesterday warned Central American nations to be cautious when building relations with China, which has been increasingly active in the region. Amid mounting tensions between the United States and China, Pence brought up ties with Beijing as he met in Washington with leaders of El Salvador, Guatemala and Honduras as well as Mexico's foreign secretary. The United States recognizes Beijing but is congressionally bound to ensure Taiwan's defense, with President Donald Trump's administration especially vocal on defending Taiwan diplomatically. Pence was meeting with the Central American leaders to stem the flow of undocumented migration into the United States, a key issue for Trump, who rose to power characterizing immigrants as criminals and vowing to build a wall on the southern border. The vice president asked the Central American leaders to send a message to their citizens that, "If they can't come to the United States legally, they should not come at all."